Captain Janeway. Starbuck. Buffy. Zoe Washburne. Veronica Mars. Xena. Max Guevara. Wynonna Earp. Women have been holding their own in the action front on TV since Annie Oakley fronted a western in the 1950s. And as battles for equality and recognition evolved over the decades, the power these characters wield and the battles they fight have come to symbolize more than plot points. Is there a TV heroine you consider a role model? 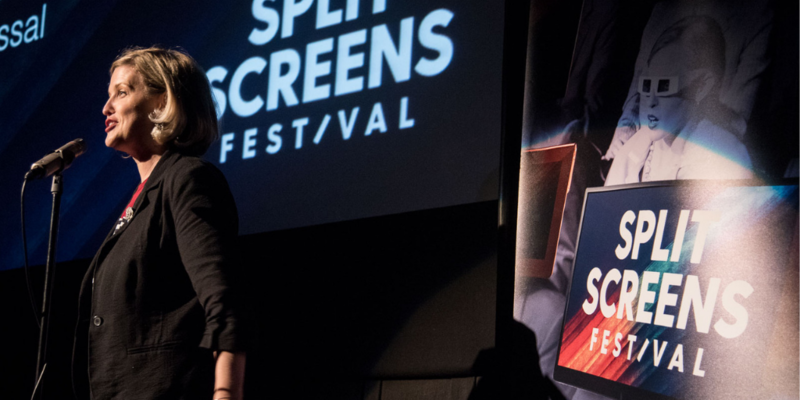 If so, Split Screens TV Festival wants to hear from you. We’re soliciting presentations for a fan-driven panel titled (S)heroes: A Celebration of Female Action Heroes that will happen Saturday, June 1, at IFC Center in New York City. Submit proposals to splitscreensav@gmail.com by April 15 — the more detailed and specific the better. It’s OK to attach images or links to video. Travel and lodging are not covered, but if you’re selected, you’ll get an all-festival pass.